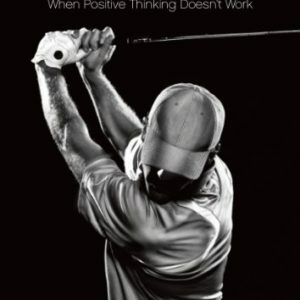 I often talk to golfers who have great goals and plans for the year ahead. If you were to put these goals on a graph they would be a diagonal line from the bottom left corner to the top right, with success in a straight upward line. In reality, how often do you achieve all your goals so easily and without setbacks and difficulties? You are in control of these types of goals and ultimately they will lead you to the grander goals you set. Whatever your goals are, here are some guidelines that offer a different approach to the norm. Give up the goals which are seductive. We all have things we want to achieve or acquire and nothing is wrong with this. But when these types of goals get us worked up to the point that we become more passionate about the future than we are about today, then this thinking is unhealthy. Whether it’s a goal to get on the Tour, win the Club Championship or to make a million pounds, these kinds of goals can lead you down a seductive path where the future is far more interesting than the present. As a result, happiness is always just out of reach and you lose the present, which is where the real gifts are. Instead you swim around in your thoughts about the fantastic future and it seems so far away from where you currently are that you get easily frustrated and despondent. When your game isn’t as you want it to be, the first thing we tend to do is to set a goal for a better future. Not bad, but if you’d take the same energy and perfect the present right now, you’d probably attract a better future instead of trying to acquire it. This is a very different approach. The idea is that a better future will find you when you have made the most of the present you’ve been given. The present is a superb teacher; the future is a seducer. So stop thinking about what you will do and pay more attention to what you are doing right now! You will make mistakes. This is all part of learning. Stop thinking of your mistakes as bad and realise that they have lots to teach you and you are missing opportunities to learn if you just ignore them. 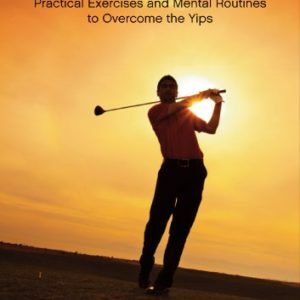 I don’t mean not to plan for your golfing future or to give up your important goals. But it’s tempting for some personality types to think that fully laid-out plans and perfectly identified goals are the right thing to do. In fact, they may simply be a mind exercise to reduce risk and fear. Identify a vision or sketch out a plan and then learn-as-you-go, but learn quickly. Better to become a rapid in-the-moment learner than become an expert planner. Life is accelerating so quickly, that most planning skills are irrelevant by the time you master them. If you would like some help achieving your goals, then get in touch.